Opened for the first time in 1972, Cactus Flowers is one of the most experienced flower shops in Arizona. Since its establishment, this flower shop has been delivering unique and beautiful floral gifts to events, weddings, and to residents in Chandler, Scottsdale, Phoenix, Carefree and Glendale. Apart from these four areas, the shop also makes nationwide delivery of flowers. 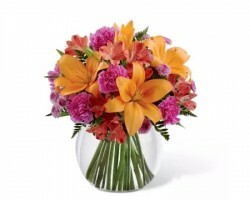 The shop provides a wide selection of floral arrangements and flowers for clients to choose from. The flower delivery services of Cactus Flowers are available at affordable prices. Ambrosia Floral Boutique is one of the few flower stores that can boast of being able to make nationwide deliveries. This local Chandler Florist delivers flowers throughout the city and its surrounding areas. The shop prides itself on having a wide variety of floral banquets, from wedding flowers to mother’s day celebratory flowers. 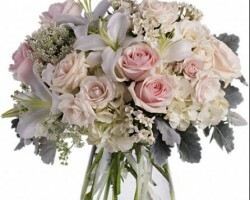 A team of highly qualified and creative florists ensures that every flower delivered is of the freshest quality. 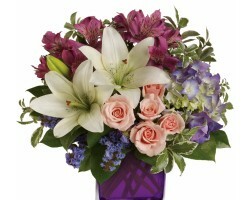 Also, for last minute deliveries, Ambrosia Floral Boutique offer last minute same day delivery of flowers. 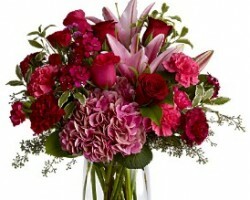 When it comes to convenience in the delivery of flowers, very few florists in Chandler, AZ can match Chandler Flowers. A family owned and operated flower shop, Chandler Flowers has remained committed to providing clients with nothing but the freshest floral design since it opened its doors for business. The store’s dedicated and friendly staff is committed to ensuring that each customer’s flower delivery experience is as pleasant as possible. To top it all off, Chandler Flowers has been known to go an extra mile in making its client’s choice of floral arrangements perfect. Not many family-owned and operated flower shops can boast of having a larger flower selection than GGG Florist. Opened every day from 9:30 to 5:30, GGG Florists qualified staff is responsible for the shop’s prompt and reliable delivery of flowers throughout Chandler. For convenience, the flower shop offers various online payment methods. Therefore, clients can make orders via the web and have flowers delivered to their intended destination, whether it’s a wedding or a hospital. The shop is closed on almost all national holidays. Catherine’s Floral is a flower shop owned and operated by Cathy Bombardieri. The flower shop makes free flowers delivery in Chandler, Queen Creek, Gilbert and other areas in the Phoenix metropolis area. The flower shop’s commitment to customer satisfaction has earned it a loyal clientele base in Chandler, Queen Creek and other areas within the metropolis area. 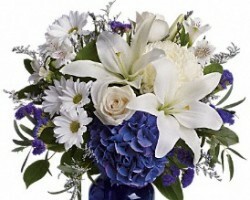 In this regard, new clients can expect impeccable floral arrangements backed by friendly and prompt customer services. The many online reviews on the flower shop’s website point to its services being as cheap as they are exceptional.